Labor Day is a pleasant time for many of us because it offers the rare, but greatly appreciated, three-day weekend. Therefore, it’s best to take advantage of the holiday when it comes along. Whether you’re traveling for work or just enjoying a luxurious extended stay in the Gold Coast, Chicago has a number of activities to help you relax this time of year. If you love sports bars and want to spend Friday night at one of Chicago’s hottest clubs, then check out Bounce. 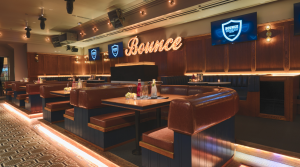 Newly opened in November 2017, this sporting club features large screen TVs, live DJs, and VIP booths. Enjoy your favorite bar food downstairs, then afterwards head upstairs for one of the most amazing rooftops in the city. Relish the three-day weekend at the North Coast Music Festival. Featuring hit performers such as Miguel, Robert DeLong, and the Revivalists, there is plenty of music and drinks to be enjoyed at this event. 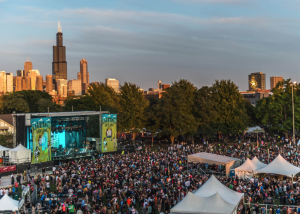 The festival is located in Union Park just a short distance west of the Loop. 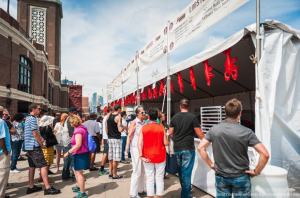 The Great American Lobster Fest returns for its 5th annual run at Navy Pier. This family friendly event is the perfect summer festival for every seafood lover. Hosted both indoors and outdoors, visitors can indulge on a plenitude of lobster inspired dishes from lobster mac and cheese to lobster tacos. 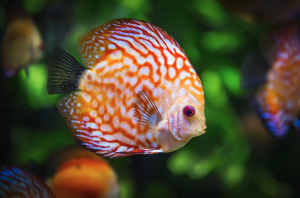 If you appreciate sea creatures, but are not in the mood to dine on them, then check out Underwater Beauty at Shedd Aquarium. This gorgeous exhibit showcases some of the most majestic and extravagant sea life known to man. The colorful swimming patterns of exotic fishes such as the mandarin dragonet guarantee viewers a mesmerizing and psychedelic experience. Extend your stay in Chicago past Labor Day weekend and enjoy Shedd After Hours. 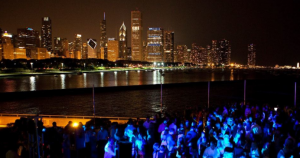 Beginning September 5 and lasting through October, Shedd Aquarium hosts drinks and music three nights a week for adults to relax and socialize along the lakeside. Shedd After Hours will portray a new theme every night from Latin music to Jazz and Caribbean. This is one of Chicago’s most luxurious pass times not to be missed.